Before selecting a pair of custom wheels, especially when plus sizing, it’s important to know how to identify a car’s lug bolt pattern. All vehicle wheels are mounted to a frame called the wheel hub assembly that extends from the vehicle chassis, which is secured by a series of lug nuts or wheel studs. These lug nuts appear in a circular known as the bolt pattern on the wheel hub and usually extend through the vehicle’s brake drum. Alright, it’s time for a geometry lesson; every bolt on the wheel hub sits in the center of circumference, or the outside edge, of circle in which the bolts are arranged. To achieve the most accurate measurement of your vehicle’s bolt pattern it is best to remove the wheel first. Although, the bolt pattern on cars are usually the same for the front and rear wheels, at times it can differ.To that end, it’s best to remove a wheel from both the front and back of a vehicle and measure the lug bolt pattern for each. If possible, try to measure the bolt pattern on the wheel hub itself. Measuring your bolt pattern can be a little tricky but with a ruler and a little patience you can finish it up in nothing flat. For reference, most American cars (not including trucks or SUVs) usually have 5 bolts. Furthermore, there are many bolt patterns are measured for wheels that are listed only in millimeters, but in the United States several bolt patterns are listed in standard measurements. If you need to convert a bolt pattern from millimeters to inches then check out our helpful bolt pattern conversion chart. 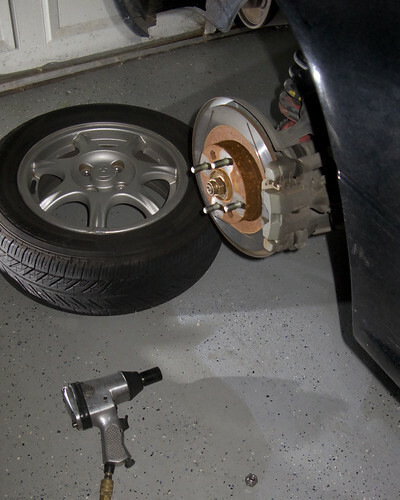 Once you have measured your car’s bolt pattern and selected a new set of wheels it’s important to make sure that the new wheels are mounted properly with the either the existing lug nuts or a new set. That said; make sure that you’re familiar with the various facts about lug nuts for perfect wheel mounting.